This documentation will inform how to manually install the hotfix 160505 if you are having any issues running the .MSI file. 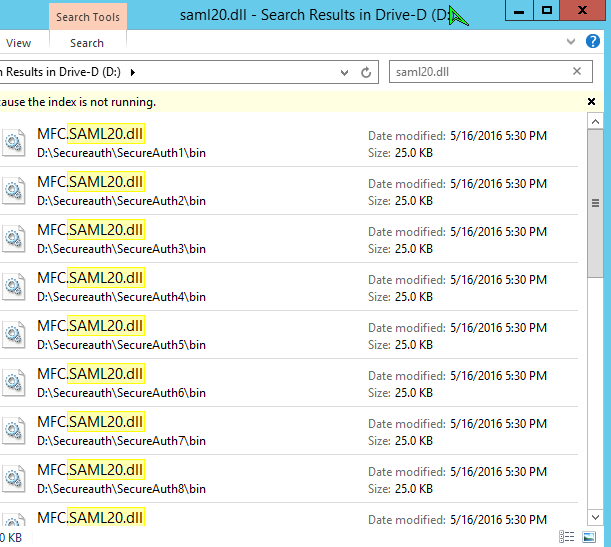 If some environments have custom development for their SAML assertion, there may be an error in running this particular .MSI file. Extract the .MSI and copy over the files manually. Download the hotfix160505.MSI from the support page at https://www.secureauth.com/Support/Downloads/Patches.aspx. 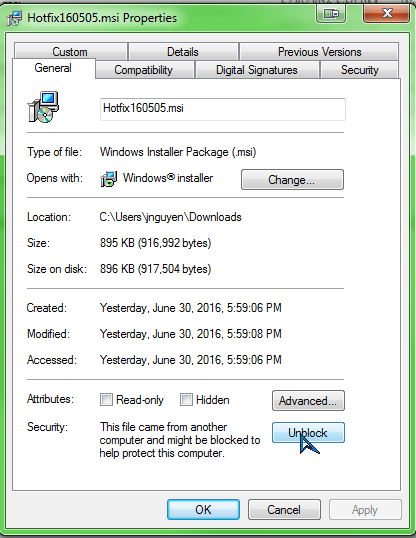 From there, right click the file and unblock it, if necessary, and apply the changes. Extract the .MSI whichever method you choose. You can run the following command in CMD to extract it or use a third-party application to do so. Here is the same fucntion with Less MSIerables. 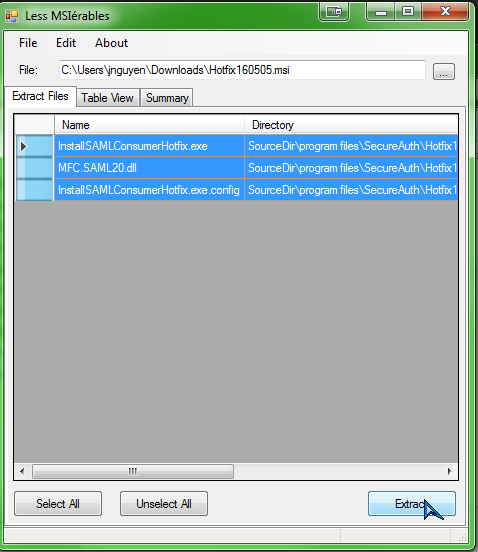 After the file has been extracted, you can open up the folder and see the files located in the .MSI. 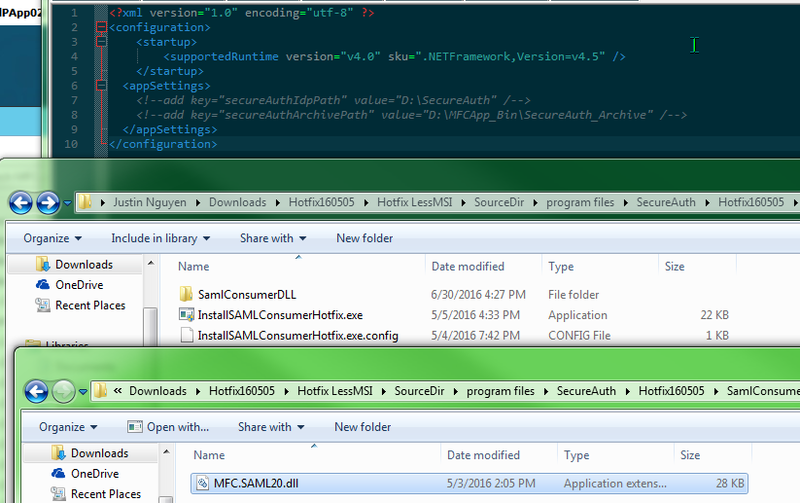 Once you see the MFC.SAML20.dll, you can copy this DLL to all the realms' bin folder.